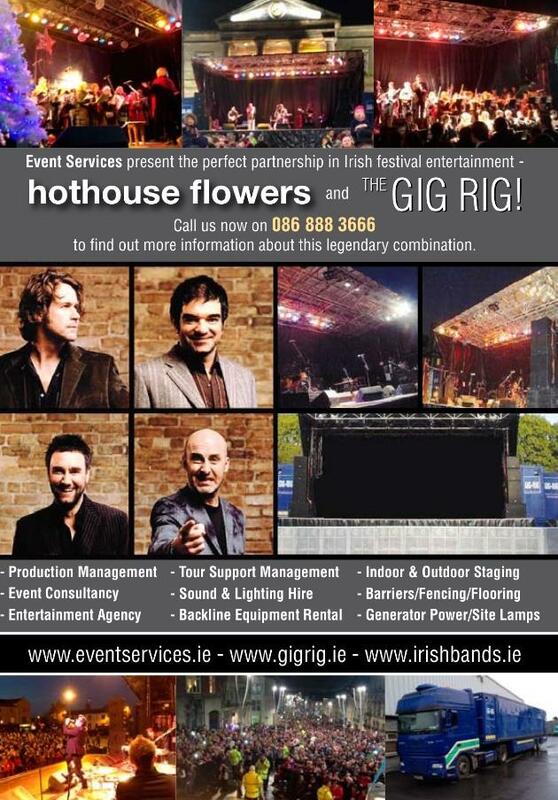 Welcome to Tributebands.ie Ireland’s only dedicated website to great quality tribute bands. 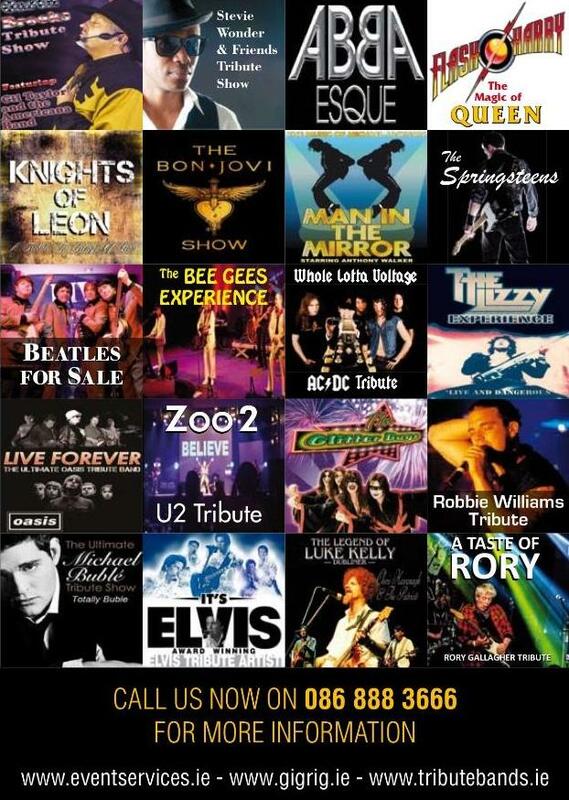 Tributebands.ie is designed to put you in touch with your favorite tribute shows. Simply select the tribute band that you are interested in and it will take you to the page showing their biography, photographs, video and a selection of mp3 sample tracks. In addition to that we have made available their most up to date set lists allowing you the opportunity to view each tribute bands repertoire all of which can be downloaded from the website. 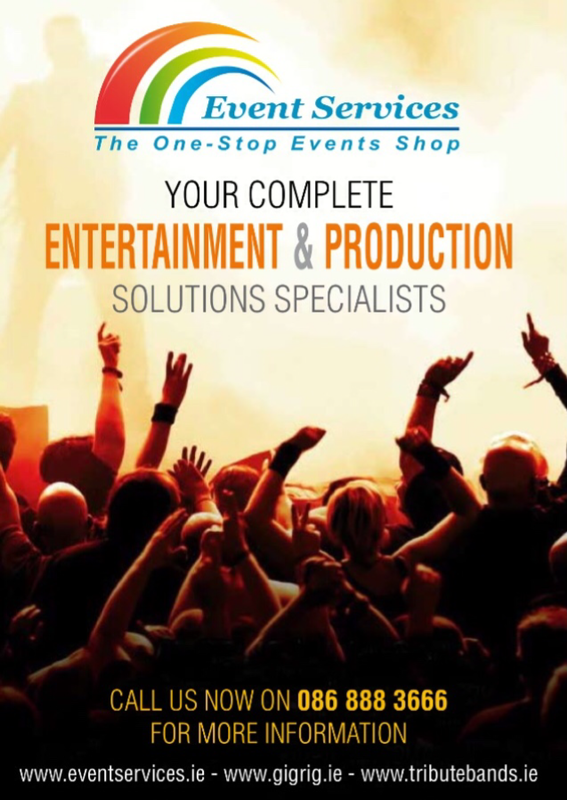 For weddings, birthday parties, theme nights, clubs, pubs, college gigs, festivals, Christmas party nights or corporate events tribute bands are the ideal choice for getting any party started. 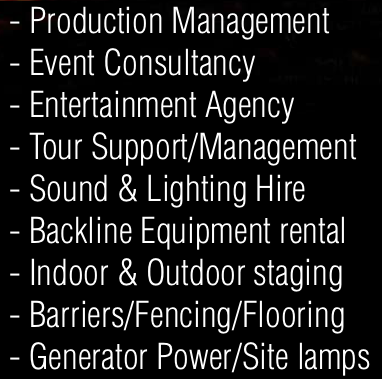 Our acts come complete with professional sound and lighting production equipment and will travel anywhere within the 32 counties of Ireland and even further if invited! We haven’t included any complicated booking or enquiry forms on our website as we believe in the old fashion method of communication-The Telephone! 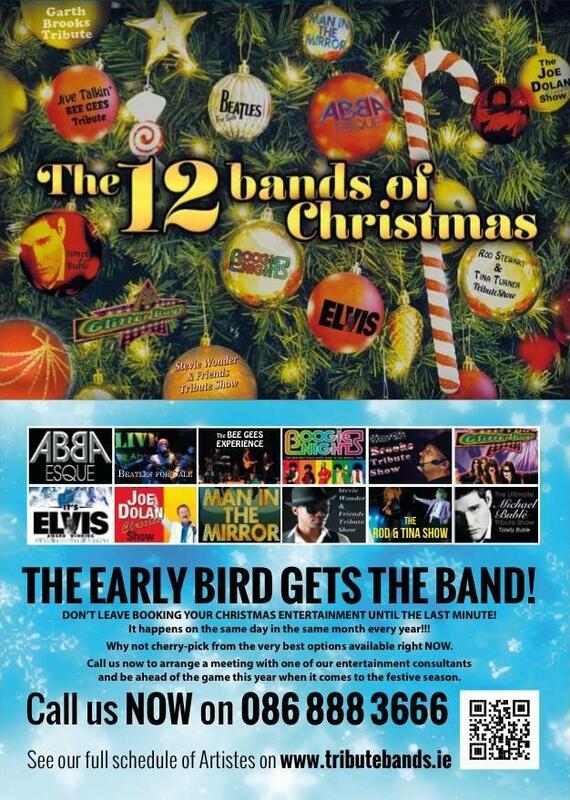 Call us on 086 8883666 and we can answer any questions you may have about the availability of our tribute bands. For International enquiries contact us on 00 353 86 8883666. So if you like what you see or don’t see what you like then give us a call as chances are we know where to locate and supply your favorite tribute band for that special event. 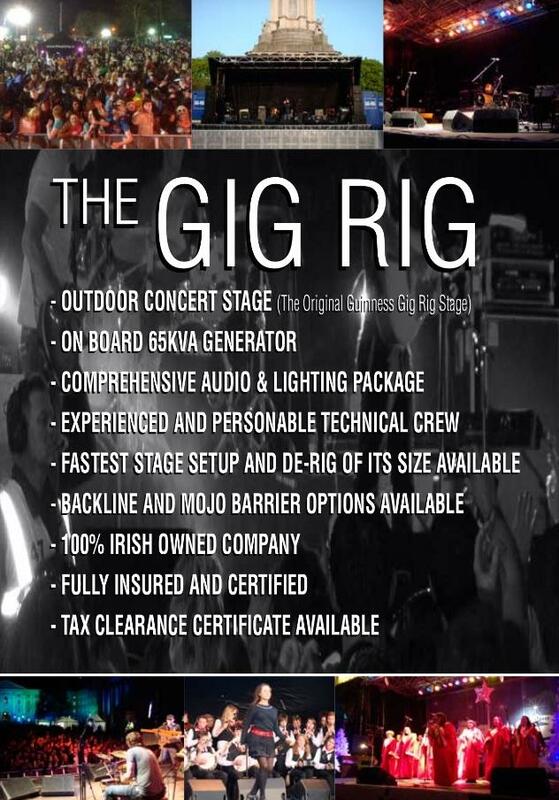 Check out the Gig Rig below for a complete one stop shop mobile outdoor festival solution. Now taking Bookings for 2015!